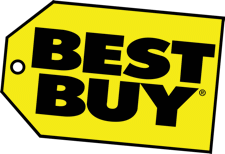 Best Buy (no longer on the verge of bankruptcy) is revamping its stores to include an emphasis on 4K tech. Sony and Samsung 4K TVs will be included. This marks a big change from the current "one 4K TV per store" model they have had for some time now. Best Buy is redesigning its Home Theater section, adding brand-specific Sony and Samsung exhibits this month that will emphasize new 4K TVs. The retailer, which has struggled in recent years due to online competition, is hoping that the redesign will encourage more people to come in and experience new products in person. "For the first time, consumers will be able to see, test and try TVs in an unparalleled experience," Best Buy says in a blog posted at its corporate web site. "When all Best Buy Home Theater transformations are complete, you may not even recognize your local store after the redesign." With the Sony exhibit in 350 Best Buy stores and the Samsung display in 500 outlets, there will be a greater emphasis on the companies' 4K TVs. "You have probably heard about (4K)...but you probably haven't seen it before," the Best Buy post states. "Now you have a chance to see the difference and what it means for your viewing experience." The 4K TV, which was introduced to retail stores last year, has sold fewer than one million units in the United States thus far due to high prices and consumer indifference. But Sony and Samsung -- and other TV makers -- are hoping that the set, which promises four times the resolution of current 1080p HDTVs, will ultimately revitalize the TV category, just as HDTV did. Best Buy says the Sony exhibit will deliver "demos of the new high-end, premium Sony 4K TVs to see the detail, color and brightness differences between models." The Samsung display will feature the company's new curved 4K TVs which purport to deliver a great picture regardless of where a person is sitting in the room. Best Buy says the new Home Theater sections will also allow consumers to test new sound systems and sound bars to hear how a new audio set-up could improve the overall TV experience. The retailer says that it will announce later this month which markets will get the new Best Buy Home Theater designs first. This is the not the first time in the last few years that Best Buy has turned to a redesign to help boost consumer interest. The company redesigned many of its stores in 2010 to emphasize new products from Microsoft and Google. I Just Want a Dumb TV Smart TVs are stupid, says Dennis Burger. But as he shops for a new high-performance display, it seems he has no choice but to buy another one. LG Launches OLED Sale Just in Time for the Big Game The deep discounts on select LG OLED displays runs from now through February 2. Samsung Resizes The Wall to Fit Your Wall By showing off its MicroLED technology in a 75-inch configuration, Samsung is signaling that a move to the home market can't be too terribly far away.